Nutrition plays a vital role in ensuring optimal health and well-being. 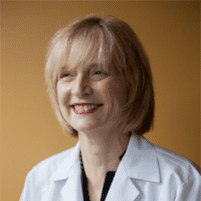 The team at POTENTRx provide nutritional consultations, nutritional counseling, and resting metabolic rate tests for patients in the Seattle area. These services help patients set and achieve dietary goals to improve their health. How can nutritionists help you reach health and fitness goals? Nutritionists provide individuals with the knowledge and guidance they need in order to come up with a diet that meets their nutritional needs. For some individuals, this means making dietary adjustments in order to reach general health and fitness goals. For other individuals, this means making dietary changes in order to manage or treat medical conditions. Nutritionists offer information to help individuals plan meals, choose healthy options when dining out, and select the most nutritious foods at the store. Nutritionists also provide guidance on choosing dietary supplements, eating healthy with food allergies, and keeping weight at a healthy level through diet. What do nutritional consultations include? At POTENTRx, these 1-hour consultations include comprehensive reviews of the foods that clients are eating over a certain period of time. This information provides nutritionists with a way to determine the number of calories clients should aim to eat each day and which types of nutrients clients should be including in their diet. The food choices that clients should focus on making depend on their personal health goals and their lifestyle. What does nutritional counseling cover? 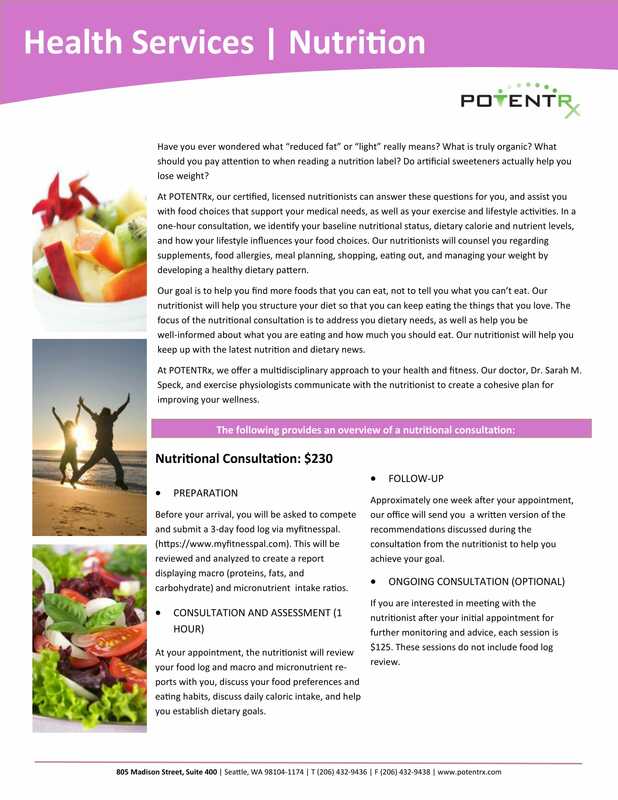 Nutritional counseling sessions at POTENTRx take place with licensed dietitians and certified nutritionists who have the knowledge and experience needed for guiding clients in making healthy food selections. These sessions include education focusing on helping clients understand the importance of nutrition and providing advice on choosing nutritious foods and planning healthy meals. Clients also learn more about processed foods, chemicals in foods, and refined foods in order to help them make more informed choices while shopping or dining out. Those who participate in sports or other athletic activities receive guidance on the best nutritional choices to make. What does your resting metabolic rate mean? The resting metabolic rate is a measure of the number of calories that are consumed when individuals are at rest. Those who have this test taken typically avoid drinking caffeinated beverages and eating foods for a certain amount of time beforehand in order to prevent problems with the results. This measurement is used to figure out how many calories individuals should eat per day in order to maintain good health.